I just had a sudden inspiration to offer you a surprise New Year's sale! Until January 7th, my Well Dressed Bunny pattern, as well as Clothing Bundles 1, 2, and 3 are all $2 off! Those links are to my Lulu store, but you can also find all those patterns on Etsy, and the Well Dressed Bunny on Ravelry. Happy knitting! I hope you are all enjoying the holidays, and maybe even a well-deserved break from work (I know I am). We had a good visit with our house-guest last week, and even managed to get out to see a movie thanks to free babysitting. This week should be a little more laid-back without any holiday preparations to worry about. Although, we are officially on a diet from all the sweets and rich food (we might make an exception for New Year's eve celebrations). Lev is enjoying the new toys and books he received from relatives. We got him a shiny red sled, but he wasn't very happy in it the first time we took him out. Hopefully we get some fresh snow and less-cold weather this week, so we can try again. I have completely failed at getting any photos, though I intend to try a little harder this week. It's just so discouraging when our house isn't very sunny (especially in winter) and I find our camera too clunky and heavy for fun snaps. The only photos we have are some portraits of Lev, which we took to send out to our families. 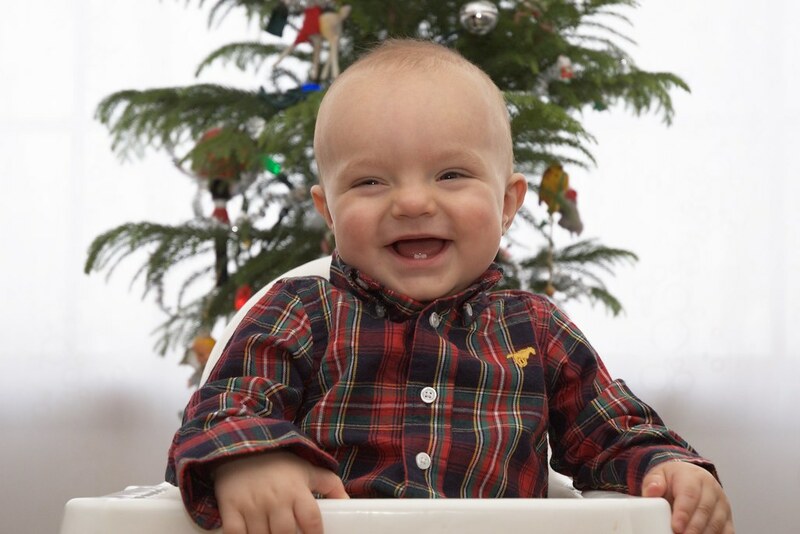 Hopefully this goofy smile makes up for the lack of other photos! Posted by Barbara Prime at 9:37 p.m.
Aw! What a sweet photo! He is adorable. Happy New Year! December 30, 2009 at 8:59 a.m. I purchased a pattern after reading your post. 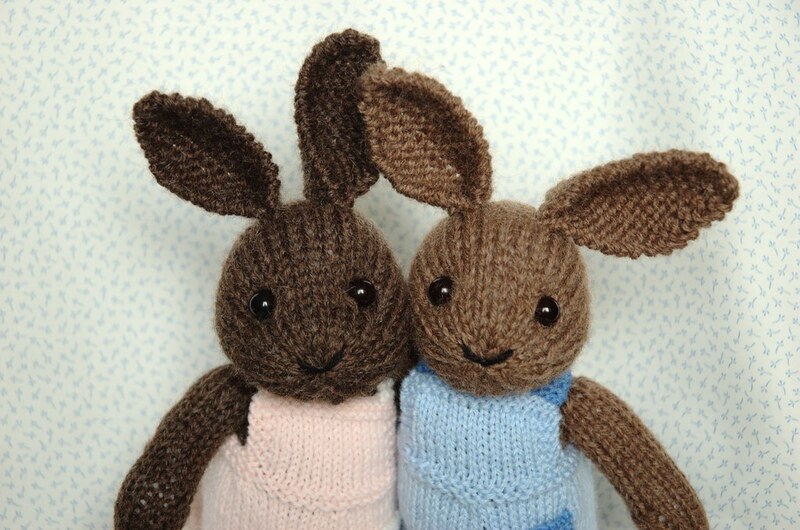 The bunny looks cute and I look forward to knitting one. Happy New Year to you too. December 31, 2009 at 7:14 p.m. Thanks for the wonderful patterns! I look forward to trying even more. January 2, 2010 at 5:49 a.m. I am just seeing this picture - oh my that is so cute! Happy New Year to you and your family. Thanks for the photo! January 3, 2010 at 9:39 p.m.